SkillsUSA (formerly known as VICA) is a national organization serving high school and college students and professional members enrolled in training programs in technical, skilled, and service occupations, including health occupations in high schools and college/technical schools. 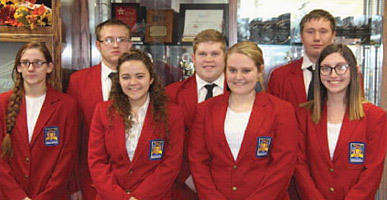 SkillsUSA prepares America's high performance workers. It provides quality education experiences for students in leadership, teamwork, citizenship and character development. It builds and reinforces self-confidence, work attitudes and communications skills. It emphasizes total quality at work, high ethical standards, superior work skills, life-long education and pride in the dignity of work. SkillsUSA also promotes understanding of the free enterprise system and involvement in community service activities. For more information: www.skillsusa.org. 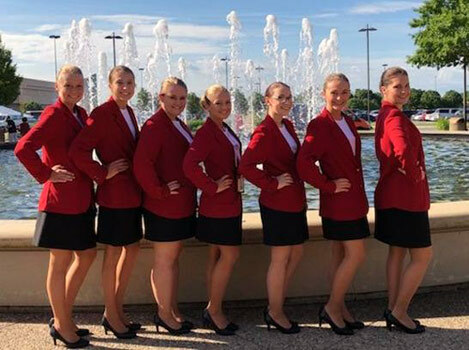 Membership: More than 305,000 student and instructors join SkillsUSA annually, organized into more than 14,700 sections and 54 state and territorial associations. SkillsUSA has served more than 10 million members. SkillsUSA officers for 2018-2019 at Grand River Technical School are front row, left to right: Josie Reeter, secretary; Malloree Summers, president; Ryley Baragarg, vice president; and Shaylea Martin, chaplain. Back row, left to right: Garett Byrom, reporter; Drew Minnis, historian; and Zack tustison, treasurer. 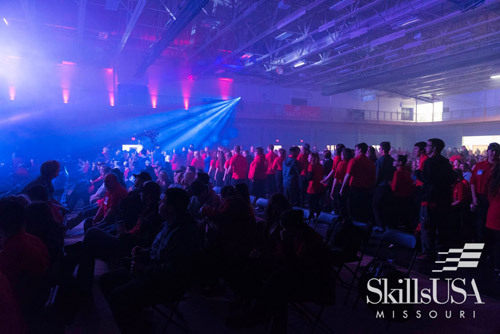 Mission: SkillsUSA is an applied method of instruction for preparing America's high performance workers in public career and technical programs. It provides quality education experiences for students in leadership, teamwork, citizenship and character development. It builds and reinforces self-confidence, work attitudes and communications skills. It emphasizes total quality at work: high ethical standards, superior work skills, life-long education, and pride in the dignity of work. SkillsUSA also promotes understanding of the free-enterprise system and involvement in community service. Partners: Currently, more than 16,000 teachers and school administrators serve as professional SkillsUSA members and instructors. 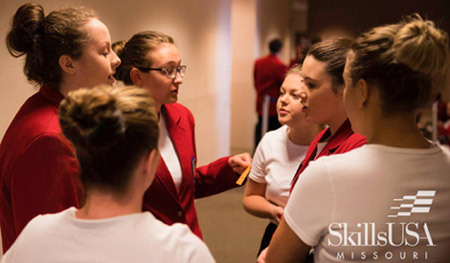 More than 1,000 business, industry and labor sponsors actively support SkillsUSA at the national level through financial aid, in-kind contributions, and involvement of their people in SkillsUSA activities. Many more work directly with state associations and local chapters. Programs: SkillsUSA programs include local, state and national competitions in which students demonstrate occupational and leadership skills. At the annual SkillsUSA Championships, more than 5,000 students compete in more than 90 occupational and leadership skill contests. SkillsUSA programs also help to establish industry standards for job skill training in the classroom and promote community service. SkillsUSA is recognized by the U.S. Department of Education and is cited as a successful model of employer-driven youth development training program by the U.S. Department of Labor. 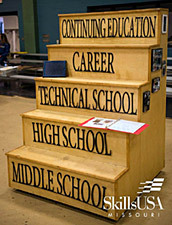 For more information, go to: www.SkillsUSA.org or www.SkillsUSAMO.org.